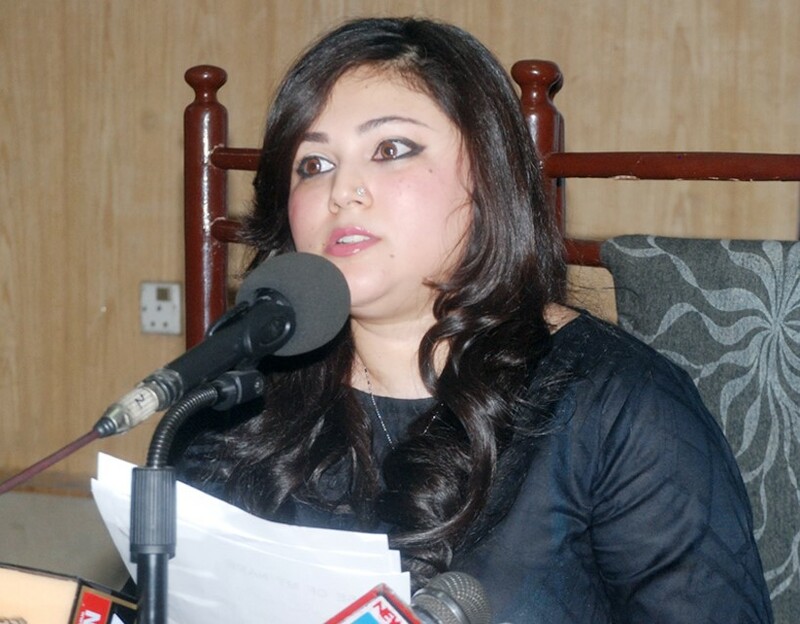 LAHORE: Nida Nusrat, daughter of legendary singer Nusrat Fateh Ali Khan, has announced to sue Wikipedia for spreading fake information on marriage to cousin Rahat Fateh Ali Khan and warned all those misusing her father’s name by using her music rights. “Rahet’s wife is my namesake but she is another woman. I am still unmarried,” she clarified. “I am the only daughter and sole heiress of qawaal legend Nusrat Fateh Ali Khan. I have no siblings. Wikipedia and other such websites are spreading fake news about my marriage with Rahat Fateh Ali Khan. I have written emails to them but they are not responding so I have decided to sue them,” she said in her maiden media appearance at the Lahore Press Club Friday. This is Nusrat’s first appearance after the demise of her father, music maestro father Nusrat Fateh Ali who had enthralled the audience across the globe through the magic of his music and voice. She revealed that she along with her mother went into hiding in Canada since they were unable to bear the shocking death of her father. Furthermore, she denied all differences with Rahat Fateh Ali Khan. Nida Nusrat also warned people who have made blogs, fake Facebook accounts and pages and announced to take action against them. The King of Qawwali Nusrat Fateh Ali Khan died in London in 1997 at the age of 48. His nephew Rahat Fateh Ali Khan has been carrying forward his legacy after his death.